The brainchild of a UK Rotarian in 2000, ShelterBoxes and the response team network that support them enable rapid relief to be provided in times of emergency. 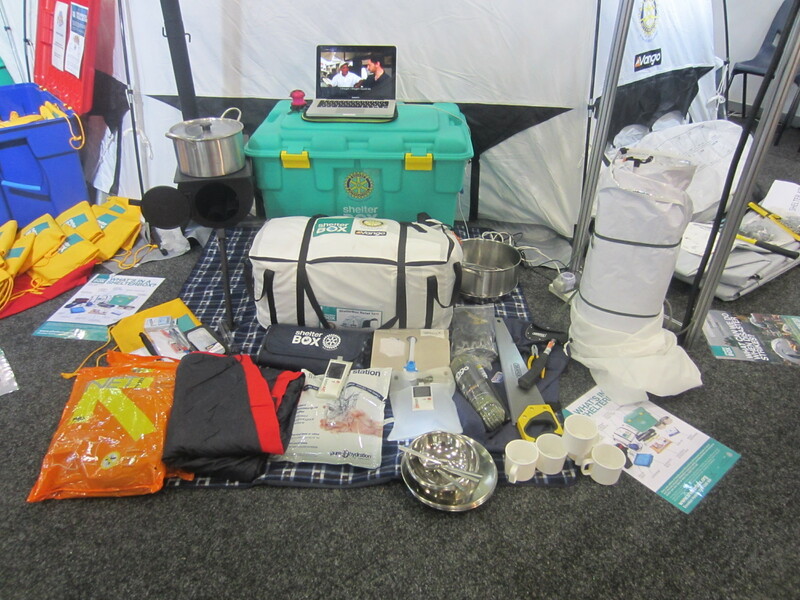 The idea was willingly embraced by Rotarians around the world, with ShelterBox being recognised as a Global Rotary Club Project in 2009. Sturdy green ShelterBoxes are designed to help people who have lost everything. They are filled with practical tools and utensils that help to create the framework for everyday life. Each box contains a family-sized tent that protects people from the elements and provides a safe space in which people can start to recover from physical and emotional trauma. Sponsoring a box costs $1,000, including delivery direct to those who need it. Each box bears its own unique number so as a donor you can track your box all the way to its recipient country via the website. As at December 2016, the Rotary Club of Freshwater Bay has donated 12 Shelter Boxes. If you would like to support this project, you can donate online.